Renewed noise around Kenya’s nuclear plans with a 2027 deadline for commissioning the first plant – support comes from Russia on skills training. 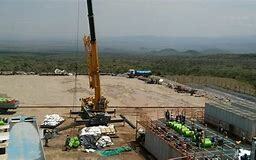 Further drilling at Akiira geothermal site, Kinangop wind farm sued over breach of contract. In Uganda, CWE starts technical operation of Isimba hydroelectric dam as the government warns that there is no more funding for new electricity generation. Despite foreign pressure, Tanzania’s government has vowed that Stiegler’s Gorge power project will continue. 15 years on, is the East African Power Pool ever going to become reality? Centum Investments Company Plc, Ram Energy, Marine Power and Frontier Investment Management ApS, the shareholders of Akiira Geothermal Limited, are considering resuming drilling at the Akiira geothermal project site. The objective is to dig a third well to compensate for the poor productivity of the first two. The Ministry of Energy is seeking to have the country’s first nuclear power plant commissioned by 2027. Among the major challenges that nuclear energy development in the country has been facing is the lack of skilled personnel in nuclear energy, an impediment which the ministry is taking measures to overcome. However, although the deadline for the first plant is 2027, this is subject to the passing of the draft Nuclear Regulatory Bill which was first tabled in parliament in November 2018 by majority leader Aden Duale. Russian nuclear energy corporation, Rosatom, has offered to sponsor Kenyan students planning to study for an undergraduate degree in nuclear science at two Russian universities. A Nairobi-based Sri Lankan company has launched a bid for contracts to supply electricity cables to Kenya Power and the Rural Electrification Authority after securing an additional Sh80 million capital injection from a local bank and its Colombo parent shareholder. The firm had been facing delays in delivering on orders for cable supply in Kenya due to capacity constraints. A Spanish firm has sued Kinangop Wind Park Limited for Sh1.2 billion compensation over alleged breach of contract in the construction of the 60.8 MW installation. Iberdrola Ingeniera Y Construction S.A.U claims that Kinangop Wind Park Limited, which is under receivership, in 2013 contracted it to procure and install the wind turbines but following alleged hostility by the local community the agreement was terminated in 2015. The death of a woman while giving birth at Taita Taveta’s Moi County Referral Hospital in Voi, has sparked outrage among residents and a section of women leaders. Ms Fatuma Mugambi is alleged to have died on Monday due to lack of electricity at the hospital’s theatre. China International Water and Electric Corporation commissioned the Isimba hydroelectric dam on Thursday, January 24, 2019. However, its commercial operation is not expected to begin until March 2019. With a capacity of 183.2 MW, it is located in central Uganda. The government will not sink money in new electricity generation plants in the medium term. Instead, it will funnel funds to Standard Gauge Railway. Implementation of the Stiegler’s Gorge power project will continue as planned despite renewed foreign pressure to convince the government to go back to the drawing board, a senior official has said. An ambitious plan to interconnect power facilities in the wider East Africa region to facilitate electricity trade continues to be a dream, 15 years after it was mooted. The Eastern Africa Power Pool was conceived based on the need for optimum development of energy resources to accelerate access to reliable and affordable electricity across borders of 10 countries.